Do a search for an LTL shipping service and you’ll find more trucking options and information than you can review. To find the right one, all you need to do is ask a few simple questions. Before you set out to find a carrier, here are a couple of industry factors to consider. The quality of LTL carriers varies widely. (As an LTL freight broker, our job is to investigate those we partner with, so we know the ins and outs of a lot of them.) There are thousands of LTL common carriers in the United States. Many are very good. Some are good. Some don’t become our partners. For any individual or company, it would be hard to search, find and vet the ones needed for different shipping needs. Some freight shipments need special handling. Some need local, regional or national service. Then there’s the question of whether you should go with one of the ‘Big Guys’ or a smaller firm. What’s the difference? A lot of times its customer service. In the past, bigger companies used technology that gave them the edge. Today, almost all firms use some form of transportation management system (TMS). That means big or small, it comes down to experienced customer service professionals. A trusted freight broker can save a lot of time, energy and money. They investigate literally hundreds of LTL freight carriers, so they know. Working with an expert in a field is often the best approach. It eliminates the expense of committing man power to manage your logistics to ensure deliveries go smoothly and arrive on-time. A freight broker can give you a list of the best and most affordable LTL trucking companies for each and every shipment. They can share the track record of the carriers and explain the rates, services and other details that may impact the pricing and deliver schedule for your shipment. 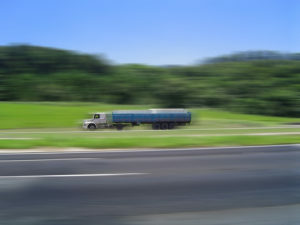 You can also research LTL freight carriers on your own at www.dot.gov. So what questions should you ask? If you’re not working with a freight broker, here are a few questions to get you started. Do you [the carrier] haul where I need to ship? Or, where do you ship (local, regional, national)? How do you process claims? What is your record for on-time shipments? Do you have insurance options? Keep in mind LTL shipping services vary in both services offered and coverage areas. Getting product delivered on-time and undamaged can make or break customer relationships. With that in mind, it’s vital every aspect of your logistics gets handled professionally. That’s why so many businesses turn to a freight broker today. It simplifies the efforts like finding carriers, negotiating rates, and handling claims when they come up.